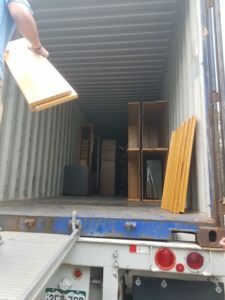 Aspen Academy Donates Furniture to Kids in El Crucero! With the help of YPO Colorado members and Aspen Academy, a new community center is coming! Monday we received a generous donation from Kristina Scala, President at Aspen Academy. Over 8 classrooms of desks, chairs, tables and blackboards were donated that will fill a community center coming this Fall in the remote village of El Crucero. These items will have an immediate impact on providing after school tutoring and vocational training. The morning started at 8am with Sean Tonner picking up a 26 foot U-Haul truck and meeting 20 volunteers at Aspen Academy. 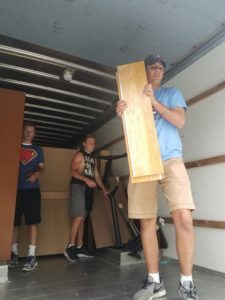 Volunteers were made up of PEC and YPO members, their families, high schoolers and kids who helped breakdown hundreds of pieces of furniture. 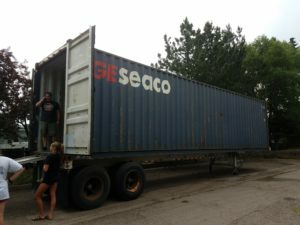 They spent the day moving it to a shipping container that will make its way to Nicaragua later this summer. Project El Crucero would like to thank Kristina Scala and everyone who came out and helped. Your support means so much and we greatly appreciate it.